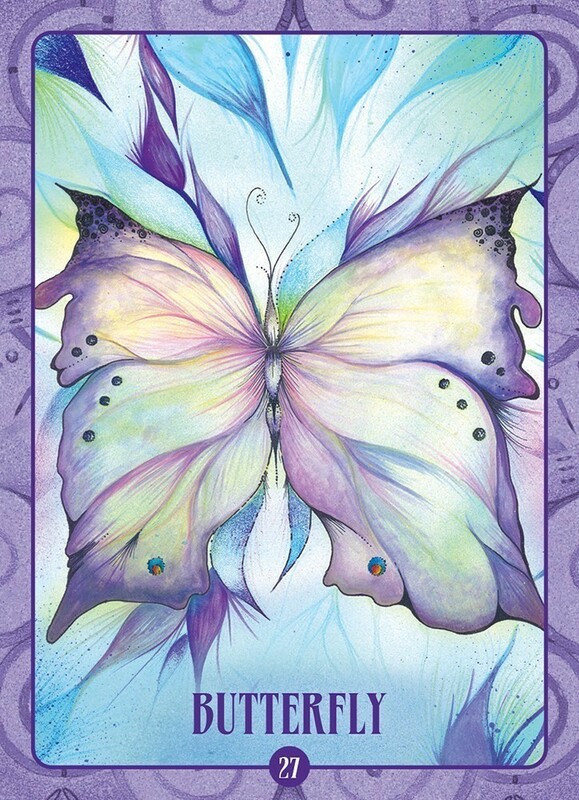 These cards are alive with color, creating a “mood” that flows into and around the person viewing and using them. 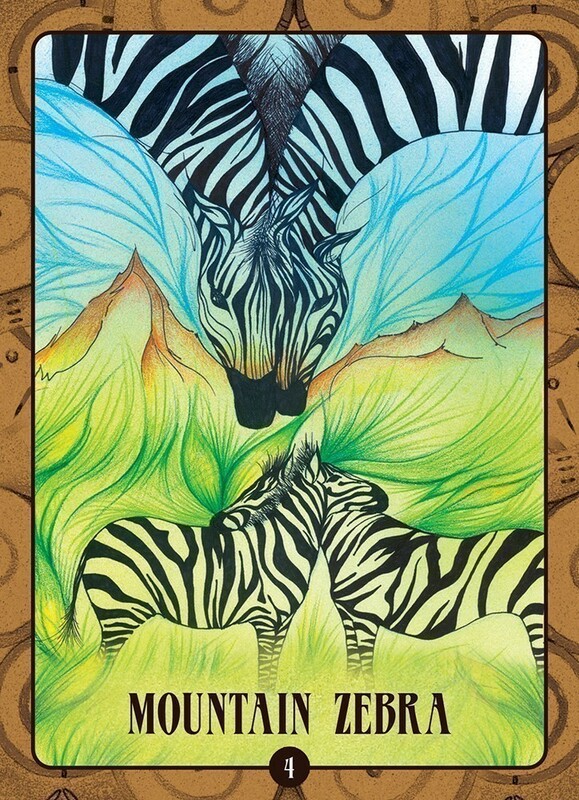 Artistic interpretations of the animals (and trees) are at various times whimsical (Baboon, Frog), realistic (Mountain Zebra, Wildebeest), and what I would call “psychedelic” (Black Mamba Snake, Flamingo). Then there’s the Honey Badger, assigned the perfect keyword: Fierce. The style is, in one sense, primitive, but also quite complex. 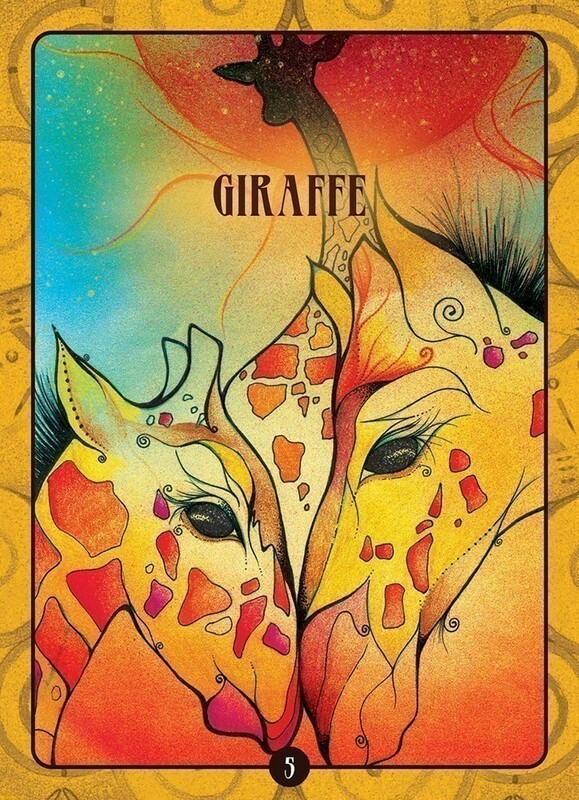 As the owner of many animal-themed oracle and tarot decks, I am always on the lookout for something different in that realm. 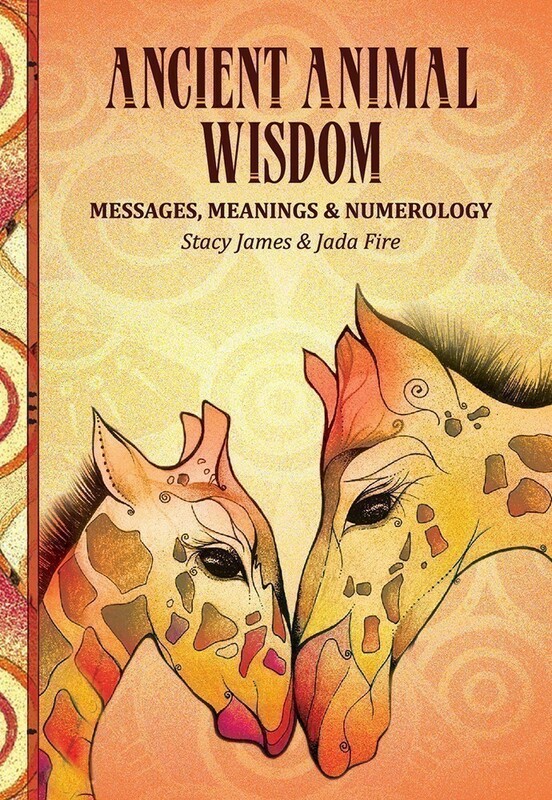 Ancient Animal Wisdom focuses on African animals, portraying them with vivid color and a somewhat abstract style – but never so abstract that you can’t tell what animal (or tree) is being shown. I love that the images on these cards evoke a response, a feeling, a reaction. 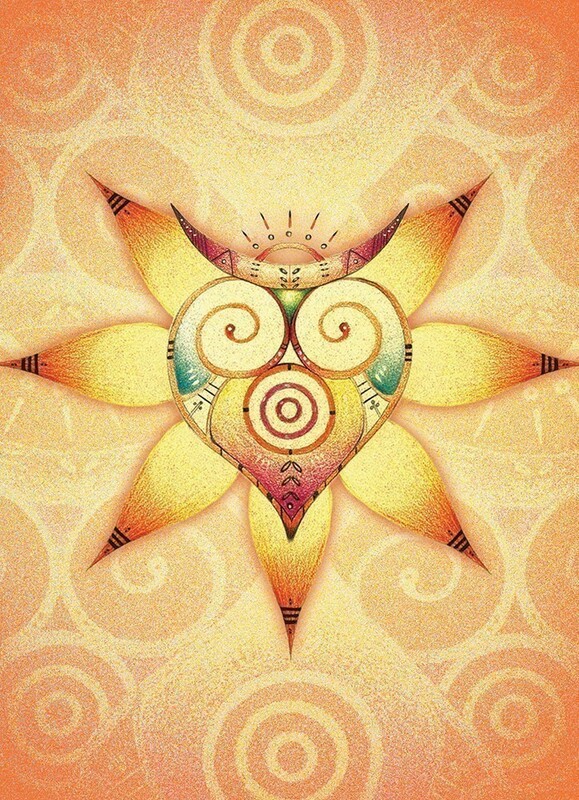 My gaze dwells on the images, enjoying the free flowing colors and clever details. I am looking forward to reading with this deck! 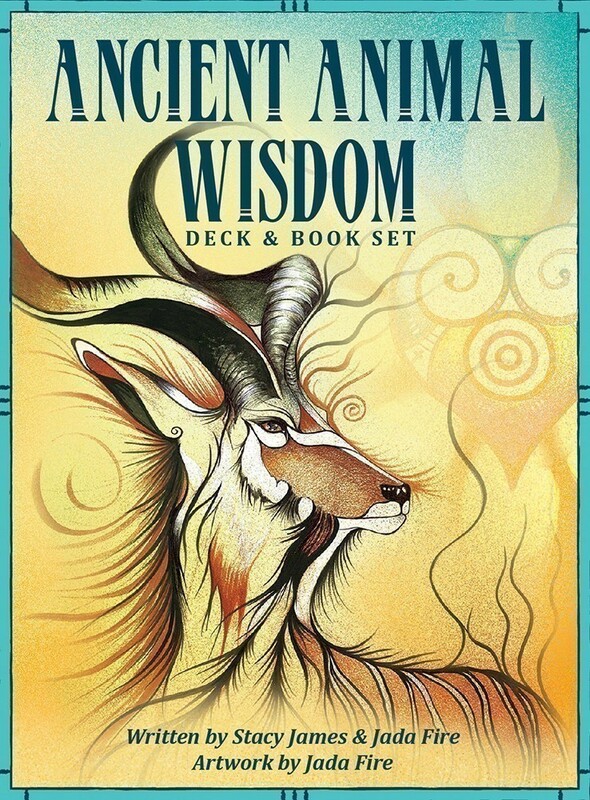 The energy and esoteric wisdom of 38 animal spirit guides from Africa are captured in this exotic deck. The symbolism is also aligned with traditional numerology, increasing the power of each card for use in both meditation and divination. 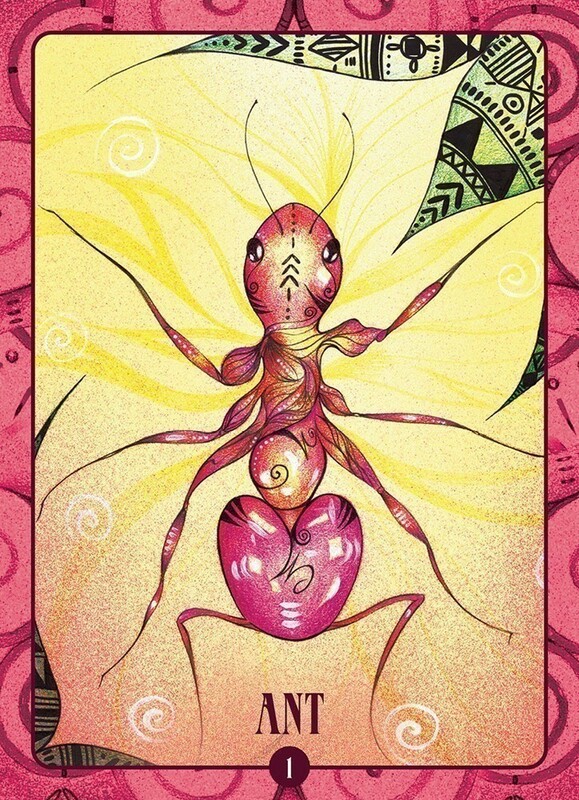 The illustrations hint at the powerful primitive art of Africa, but are infused with an astral realm imaginative stream, which transports them out the physical realm and into the world of spirit. 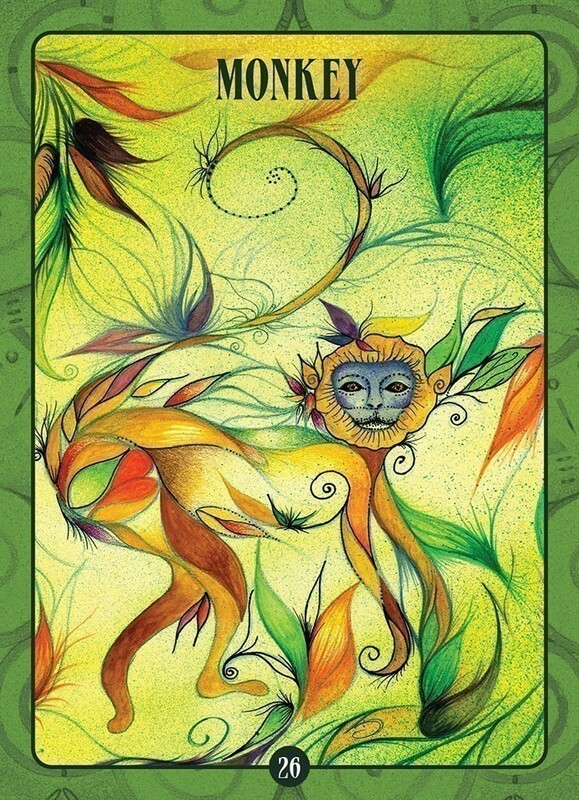 Each image speaks from the card, challenging the observer to delve into its insightful world and look for the secrets that are hidden from the self-aware consciousness. It's an exciting new deck for novices and seasoned oracle readers alike.